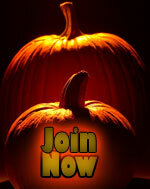 Welcome back to SCARY OUT THERE, the Horror Writers Association’s new blog on scary fiction for teens. JONATHAN MABERRY: My guest this week Gretchen McNeil who is one of those ‘does it all’ people. She’s an opera singer, writer and clown. 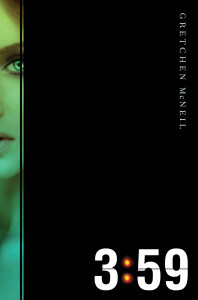 Her YA horror novels include POSSESS, TEN, and 3:59 (debuting this fall from Balzer + Bray). Gretchen also contributed an essay to the DEAR TEEN ME, an anthology from Zest Books. Gretchen is a former coloratura soprano, the voice of Mary on G4’s Code Monkeys and she sings with the LA-based circus troupe Cirque Berzerk. Gretchen blogs with The Enchanted Inkpot and is a founding member of the vlog group the YARebels where she can be seen as “Monday.” She is repped by Ginger Clark of Curtis Brown, Ltd.
JONATHAN MABERRY: Let’s talk fear. What scares you, Gretchen? GRETCHEN McNEIL: I have a short list that includes, but is not limited to: spiders, sharks, wide open spaces, being trapped on a sinking ship, demonic possession, being eaten alive, and did I mention spiders? JONATHAN MABERRY: I’m surprised you didn’t mention spiders. You seem the type who might be afraid of them. Are your adult fears the same things that scared you as a kid? GRETCHEN McNEIL: As an adult, I’ve added certain “real life” issues to that list, such as swimsuit shopping, fanny packs, an IRS audit and, weirdly, hairy toes. I have no idea where that last one came from. 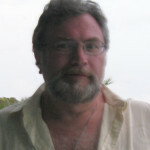 JONATHAN MABERY: Psycho Hobbit stalkers? JONATHAN MABERRY: Has teen horror become too intense or has that edge always been there? GRETCHEN McNEIL: Other than Christopher Pike and Lois Duncan, there really wasn’t a strong horror genre for teens. And yet every single teen I knew was absolutely addicted to both of those authors, and by high school, we’d all branched out to reading adult horror like Stephen King and Dean Koonz. Or, in my case, Victorian ghost stories (my personal favorite). JONATHAN MABERRY: Are the themes the same, though? GRETCHEN McNEIL: In retrospect, some of the more adult story lines in horror written specifically for adults might have been beyond what I’d write for a 15 year old teen audience. In that regard, I think having a genre of horror specifically geared toward teens is fantastic. JONATHAN MABERRY: In your view, is horror limited to the supernatural? GRETCHEN McNEIL: I think horror can be all over the board. It encompasses all genres – sci fi, dystopian, paranormal, supernatural, contemporary. The elements, however, are usually the same: an imminent threat to the main characters, a high body count, and heavy doses of fear. What constitutes horror can be subjective, but for me, it’s the kind of book that makes me want to sleep with the lights on. JONATHAN MABERRY: And yet that’s the kind of thing you write. Give me the pitch for your horror novels. 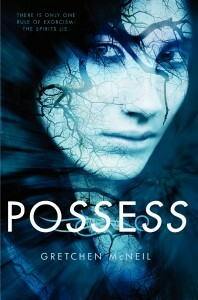 GRETCHEN McNEIL: POSSESS is an easy pitch: teen exorcist. It’s about a girl who discovers while babysitting one night that she has the power to exorcise demons from the people, places and things possessed by them, and her power might be linked to an alarming rise in cases of possession in her town. JONATHAN MABERRY: Nice. And TEN? GRETCHEN McNEIL: TEN is a YA homage to one of my favorite books of all time, Agatha Christie’s AND THEN THERE WERE NONE. 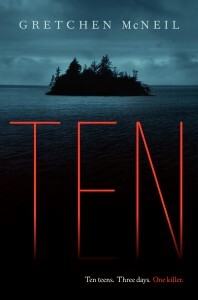 It’s about ten teens trapped on an island with a serial killer, and as the body count rises, the survivors need to find out if there’s someone else on the island with them or whether the killer is one of them. JONATHAN MABERRY: You’ve put your mark on a couple of horror genres. Are you planning on deepening that mark or going elsewhere? GRETCHEN McNEIL: So far I’ve done paranormal horror and contemporary horror, and with my next book I tackle sci fi horror. JONATHAN MABERRY: What’s the quick pitch for that? GRETCHEN McNEIL: 3:59 is about two girls who are the same girl in parallel dimensions who discover that their worlds connect every twelve hours for exactly one minute at 3:59. When they decide to switch places for a day, all hell breaks loose. Literally. JONATHAN MABERRY: And you have one scheduled for next year that’s been described as Revenge meets The Breakfast Club. What’s that about? GRETCHEN McNEIL: DON’T GET MAD is the name of the series, and is about four very different girls who form a secret society where they get revenge on bullies and mean girls. The first book is GET EVEN. It’ll be followed by the sequel GET DIRTY in 2015, also with Balzer + Bray. JONATHAN MABERRY: Which YA books make your must-read list? GRETCHEN McNEIL: SLUMBER PARTY by Christopher Pike (it was my Pike entry drug). JONATHAN MABERRY: Nice. Love that book. What else? JONATHAN MABERRY: So great. Any others? JONATHAN MABERRY: Outstanding choices. Okay, so before we go, where can readers find you online? JONATHAN MABERRY: Terrific. Thanks, Gretchen! Join me next week when my guest will be James A. Moore, the award-winning author of over twenty novels, thrillers, dark fantasy and horror alike, including the critically acclaimed Young Adult novels, with his new series Subject Seven. Until then… lock your doors and turn on all the lights. It’s dark out there.